Very Well Maintained Home In High Demand Area, Open Concept Main Floor With W/O To Deck From Kitchen, Parquet Floors Thru-Out, Hardwood Staircase, Great Layout, Stainless Steel Appliances, Freshly Painted, Patterned Concrete Ext Stairs & Porch. 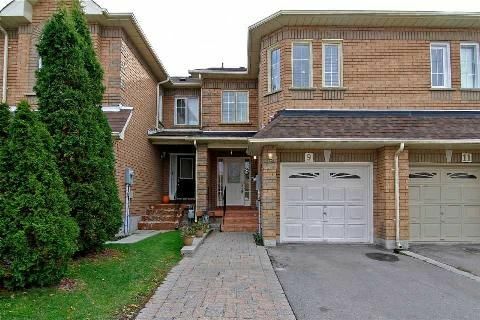 Walk To Go Station, Community Centre, Ttc, Close To Schools, Walk To High School. The Emerald! !Model 1430 Sq Ft.